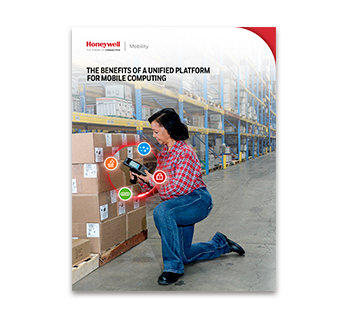 Honeywell’s Mobility Edge™, a unified hardware and software platform for mobile devices, delivers faster, more secure, and more cost-effective business outcomes with agility. Mobility Edge will help you reduce the complexity and costly maintenance of disparate mobile devices across multiple locations. Discover Mobility Edge and the benefits of using devices built on this unified mobile platform – including an extended device lifecycle through Android™ R. Download our solution brief now. Learn the 4 reasons to use Mobility Edge for your mobile workforce. Fill out the form to get our free solution brief.